Don’t forget to keep voting!!! There is still time to nominate!! Click the link and under jewelry put your favorite jeweler!! 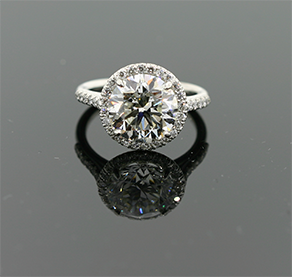 This sparkling solitaire is the perfect addition to your fall layers. With three brilliant diamonds set against matte finished white gold, it’s no wonder this classic Robert Currens design is one of our most popular. We know great stones. Favored as a stone of prosperity, this 3 carat gem-quality Chrysocolla is cushion cut and bezel set in this flawless gold ring. For timeless design celebrating a love that last forever, trust Robert Currens Fine Jewelry. Like lightening in a rainbow, the brilliant flash of opal is a rare treasure. We added a diamond halo, because we think you can never have too much sparkle. Sunshine on a rainy day. Diamonds so nice, you’ll want to look twice.